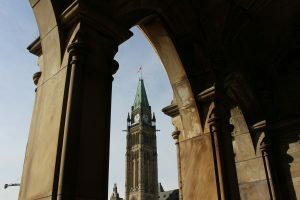 The federal government, under increasing public pressure, has tried to alleviate concern about the manner in which they are administering the 2018 Canada Summer Jobs program. We are currently reviewing the information and working on a statement that will be released shortly. I am appalled by the changing the conditions for receiving funds for the CSJ program. The Liberals have quietly tried to change the process requiring to answer yes to the question, do you believe in abortion? This is inconsistent with the Charter of Rights and Freedoms!!! This is deeply concerning many Christian groups who have been funded before. What is this country coming to: a dictatorship? If this is allowed it is an open door and a precedent to change anything they want to in regard to our freedoms & rights. What has possessed Trudeau to even attempt this? I am very concerned about his leadership on so many levels! It is also an impingment upon my rights to even provide my e-mail. Is the Government forcing one side of the issue…..